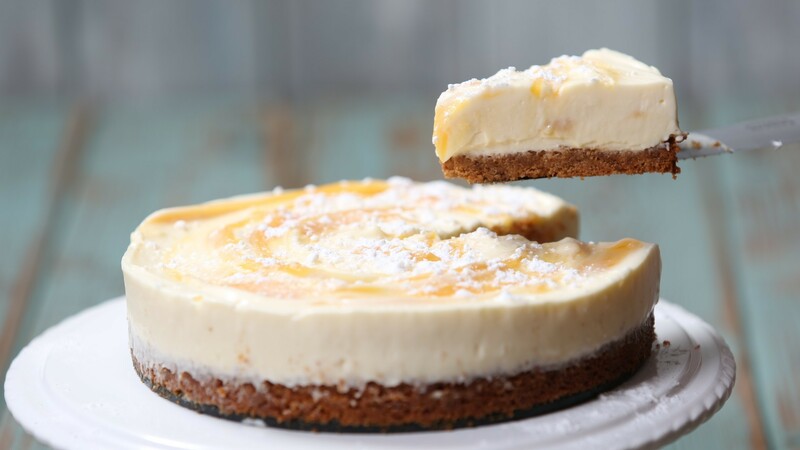 A lot of us think that making cheesecake is complicated, but it's not that difficult you know, it can even be made with simple materials and no oven. Here is the recipe. Blend all ingredients until smooth and mix it together so it becomes a thick dough. Pour into a container that has been lubricated margarine. Steam for 30 minutes. Leave it until the steam is gone and cold. Put it in the refrigerator for about an hour or more. Remove when it is solid and cold. Apparently, it's really easy to make this expensive cheese cake with simple and cheap ingredients. It's not hard to make so give it a try!